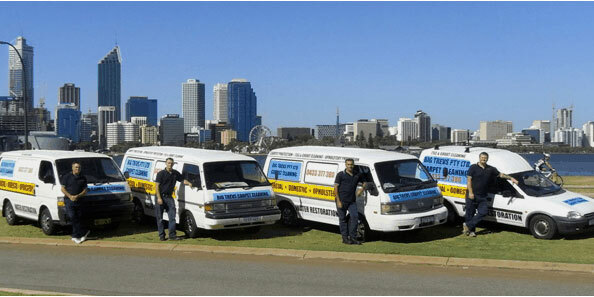 Carpet Cleaning Osborne Park WA. Big Trev's Pty Ltd - Carpet Cleaning Osborne Park provide a range of Carpet Cleaning services to customers in Osborne Park and the surrounding area, such as wet carpet restoration, rug cleaning - on and off site, fabric sofa cleaning, mattress cleaning and carpet protection. We have the perfect Carpet Cleaning solution for you! At Big Trev's Pty Ltd, Carpet Cleaning Osborne Park, our focus is delivering high quality Carpet Cleaning service at a competitive price to all our customers in the Osborne Park area. If you are looking for a friendly and reliable Carpet Cleaning provider at an affordable price, give Big Trev's Pty Ltd, Carpet Cleaning Osborne Park a call today!